With the rise of online shopping on mobile devices, consumers are expecting the same high degree of usability and functionality in their retail shopping experience. In order to meet these expectations, retailers are finding more and more that technology that was once used strictly for security and loss prevention can also be used to improve the retail experience for the customer. This not only generates an improved return on investment on these devices, it also generates a large quantity of data that can be analyzed for further improvement of the retail experience. Here are a few of the new approaches being put into use with security technology in retail stores. 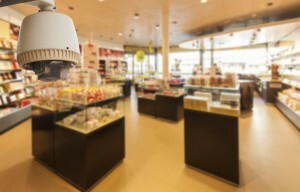 Video surveillance will always play an important role in securing retail outlets. But now, new video analytics and video management software are allowing for the collection and analysis of data that can be extremely useful in the marketing department. Shopper behaviors can easily be tracked, as well as their movements throughout the store, and times of peak activity throughout the day. These and other data can be used to make changes in the layout and displays to maximize the benefit and appeal to the customer. Video surveillance can also be used to track behavior of the staff in order to maximize the customer experience. Staff can be monitored to ensure they are following corporate policies, approaching customers to assist them, and working to make the sale. Video surveillance can be used to detect areas where incidents are more likely to occur and staff can be reallocated to these areas. In real time, video can detect areas where multiple customers are needing assistance, and staff can be dispatched to those areas to help. To make in-store inventory more accessible, retailers are turning to a loss prevention technology: RFID tags. These tags allow for easy tracking of inventory throughout the store so that associates are more easily able to help consumers find what they’re looking for. New mobile EAS deactivators allow associates to deactivate EAS labels without having to return to the counter, enabling them to complete the sale anywhere in the store. This entry was posted on Thursday, September 4th, 2014 at 1:37 pm. Both comments and pings are currently closed.